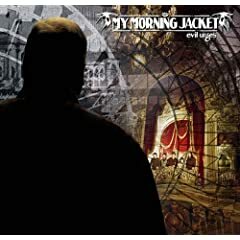 My Morning Jacket releases Evil Urges this week. Along with the new disc, the band is reissuing its At Dawn and The Tennessee Fire albums on vinyl this week. There are plenty of other worthwhile discs out this week. From what I have already heard, I can definitely recommend cellist-singer-songwriter Ben Sollee's Learning to Bend, along with Haley Bonar's Big Star, the Lexie Mountain Boys' wonderfully inventive Sacred Vacation, Martha Wainwright's I Know You're Married But I've Got Feelings, Too, Priscilla Ahn's A Good Day, Sloan's Parallel Play, and Gigantic: A Tribute to Kim Deal. What new releases have you excited this week? Are there any releases worth adding to the list?